10. Training your employees can give you a genuine competitive advantage over your competition. The only way you can be better than your competitors is by your employees being better than the rest and training is a direct route to achieving this. 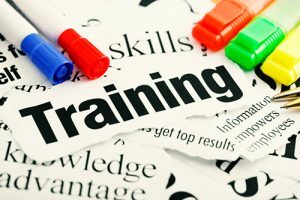 To talk more about the training of your employees, get in touch with Central Construction Training Ltd. As a specialist in training, accreditations and consultancy for a wide range of construction and professional competencies, we are passionate about employee development and the benefits this can have for your staff, your customers and your business.